Short food-related articles about things that should be in your mouth. Tiny salty fish for the win! I've wrote about Kachka in the past. I'm obviously a fan. 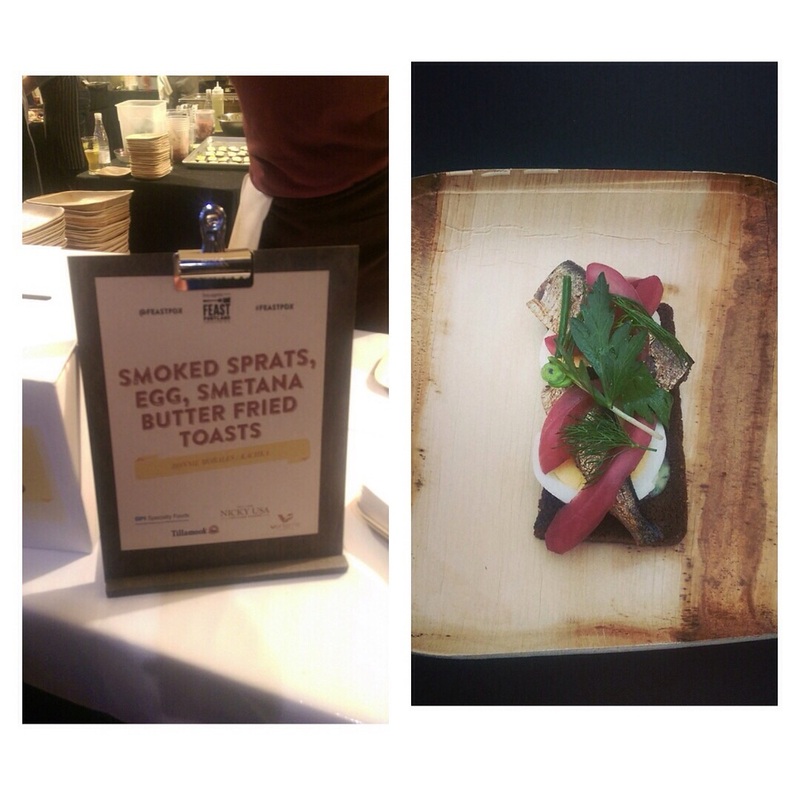 Last night at the Feast Portland Sandwich Invitational proved once again that Russian cuisine can be so much more than vodka and cold beet soup. For being the first sandwich I tried it was also the best sandwich of the night. In my opinion and the opinion of the judges. Oh did I mention that Chef Bonnie Morales of Kachka won the Judge's Choice award? Because she did and it was worthy of winning the favor of the judges. The people's choice award went to Salt &Straw. That could have been assumed given that every time I drive past any of their locations there's a line out the door. It was the best dessert PB&J topped with ice cream I've ever had I'll give them that. 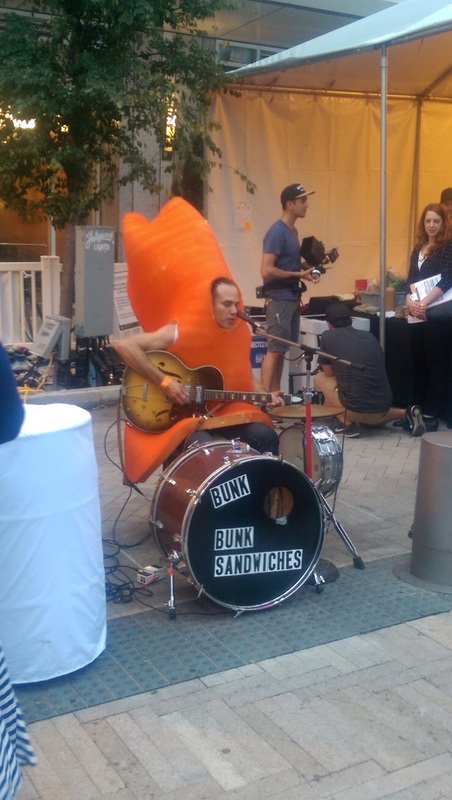 The Cooking with BS award for showmanship has to go to Bunk Sandwiches though. I think he's a carrot? He'll be at the Moda Center next week folks! I decided to take a page out of the Buzzfeed 'journalism' style guide and present this post in a format that is easy to digest. All of these are 100% true!! Sure I could write another post about one of the bigger events at Feast Portland, but there's other small events that are just as exciting about the grand bounty tasting! Such as Beans and Booze! We all have a neighborhood 24-hour Mexican restaurant. You know the one. It's the place where you go after a night a of drinking, where the menu is above the register and filled with pictures of food. No not Taco Bell. This is the place that Taco Bell wishes it was. Chicken and Rice. That's all you need to order. Prepare to be blown away by this chicken and rice. Which is a sentence I never thought I would ever be writing. This release party for Woven Wineworks took place at The Picnic House, which is a great restaurant in downtown Portland. Yes they do have a bear head on the wall with a monocle and a bowler hat. No I didn't take a picture. Welcome to the new section of Cooking with B.S. Eat BS In this section I'll be writing about the places and things you need to eat. This could be anything from a new cooking product I like, to my favorite new place to grab a quick bite at. These will be short posts about what other amazing people are doing in the world of food.